Spandau Ballet are a British new wave band formed in London in the late 1970s. The band initially was inspired by, and an integral part of, the New Romantic movement, becoming one of the most successful groups to emerge during the New Romantic era. The group’s debut single “To Cut a Long Story Short”, which reached No. 5 in the UK in 1980, was the first of 10 occasions in the 1980s that the band reached the top 10 of the UK Singles Chart. It had a UK No. 1 one single in 1983 with the song “True.” It also had four which reached the top 10 of the UK albums chart between 1980 and 1990. In early 2009, there was much speculation that the band was set to perform later that year. Although the band did not initially comment on these reports, the official Spandau Ballet website encouraged fans to sign up “for an exciting announcement,” fueling rumors that a reunion was imminent. Jonathan Ross mentioned during his BBC Radio 2 program on March 21, 2009, that the band was re-forming and that he had been invited to the reunion party. 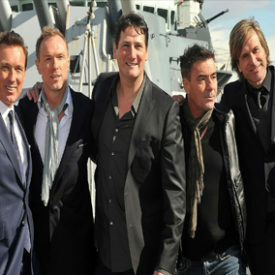 The band eventually confirmed the rumors at a press conference on March 25, 2009, on board HMS Belfast in London (a return to the venue of one of their first gigs) to announce their comeback tour. The band began a world tour in October 2009, starting with eight dates across Ireland and the UK, the first of which was in Dublin on October 13, 2009. 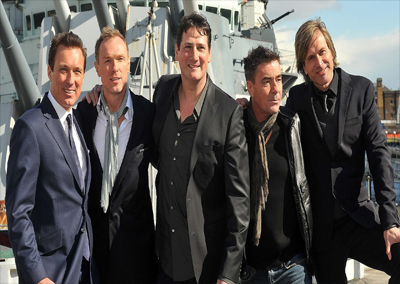 The tickets for the UK and Ireland shows went on pre-sale on the official Spandau Ballet website on March 25, 2009. These then went on general release on March 27, 2009. For the general release tickets, the London O2 arena tickets sold out within 20 minutes and an extra two dates were added there because of demand. The band also announced an extra date in Birmingham and added Liverpool to the tour. It was confirmed on July 31, 2014, that Spandau Ballet was working on new material in the studio with Trevor Horn.